George Brown was one of the thousands of American young men who had already served their country prior to the Japanese attack on Pearl Harbor and returned home to find jobs and start families, only to be called back into duty during World War II. 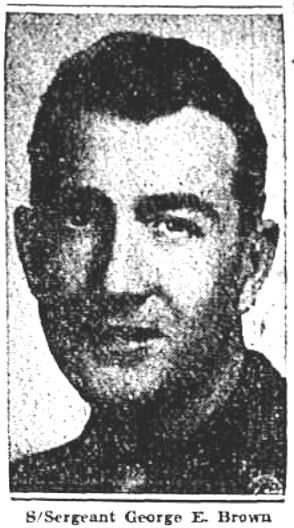 Brown had been born in Amsterdam on July 3, 1913 to Edward and Catherie Welsh Brown, attended St Joseph’s Parochial School and then the Amsterdam School of Commerce before joining the US Military in the 1930’s. When his initial hitch was up he took the familiar path many young men fro this city followed, getting a job in the rug mills, meeting and marrying his wife Helen and starting a family, a son George Jr.
You can read the rest of my story about this Amsterdam-born hero in my new book “A Year’s Worth of Amsterdam Birthdays.” To order your copy, click here.